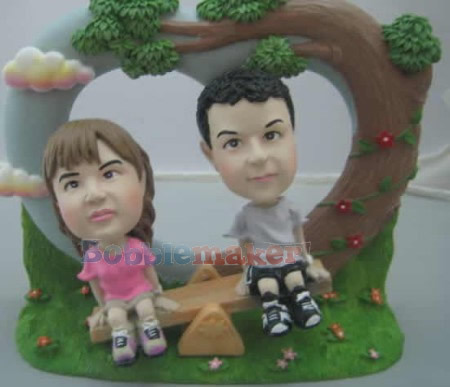 This custom bobblehead features a couple playing around on a see-saw. Do you and your partner like to go back and forth? Then you'll both love this see-saw riding bobblehead that can depict your both going back and forth, up and down. The background is shaped like a heart to show that you love each other.